Heather Mehta’s experience in both employee benefits litigation and compliance counseling gives her a broad perspective on the issues all types of employers face when administering benefit plans. She works with clients large and small, as well as tax-exempt organizations such as religiously affiliated hospitals. When clients have questions about how to administer retirement, welfare, cafeteria or executive compensation plans — whether it’s a larger issue resulting from a merger or acquisition or specific to one employee — Heather reviews the plan and the law to determine the correct course. She also helps employers with ERISA and Internal Revenue Code compliance, including the correction of plan operational failures. Heather frequently assists religious employers with benefit questions, including the application of ERISA’s “church plan” exemption. Her benefits litigation experience includes individual benefit claims and ERISA class actions. Heather has defended plan sponsors in suits involving “church plans,” forum selection clauses, and ERISA pre-emption. Heather has experience with ERISA appellate work in several federal circuit courts and the United States Supreme Court. 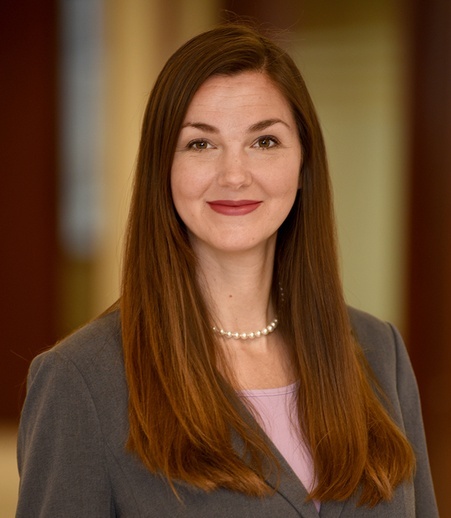 While attending Washington University School of Law, Heather served as an executive articles editor for the Journal of Law & Policy and a member of the Jessup International Moot Court team. She interned with Judge Raymond Gruender of the U.S. Court of Appeals for the Eighth Circuit. Represented Advocate Health Care Network before the U.S. Supreme Court in Advocate Health Care Network et al. v. Stapleton et al., a high-profile case involving the interpretation of ERISA’s “church plan” definition. The case resulted in a unanimous June 5, 2017, decision in favor of Advocate and two other religiously affiliated hospitals. Interview with Heather Mehta, "And Then There Was One: SCOTUS on Path to Benefits-Free Term"
Interview with Heather Mehta, "USC, Workers Battle At The 9th Circ. : A Cheat Sheet"
Interview with Heather Mehta, "USC Retirement Plan Battle Could Alter Class Action Landscape"
Interview with Heather Mehta, "Former Jacksonville resident assisted with Supreme Court case"
"That’s Not My Employee: Outsourcing Without Worker Misclassification Problems"
"Contingent Workers and Legal Risks to Employer Benefit Plans"
"Before You Hit Send: Practical Application of DOL and IRS Electronic Disclosure Rules"
"An Epic Article: The Fate of Agreements to Individually Arbitrate Claims Arising Under ERISA After Epic Systems Corp. v. Lewis"